On 25th September 2018, over one hundred women working in the UK wine trade attended Women in Wine LDN’s flagship event ‘Reflections on Leadership’, to celebrate the past, present and future of leadership in the industry. On 1st August, 30+ members of Women in Wine London enjoyed an insightful presentation with Gary and Elizabeth O’Kelly, of Vinokelly recruiters at WSET, Bermondsey Street. 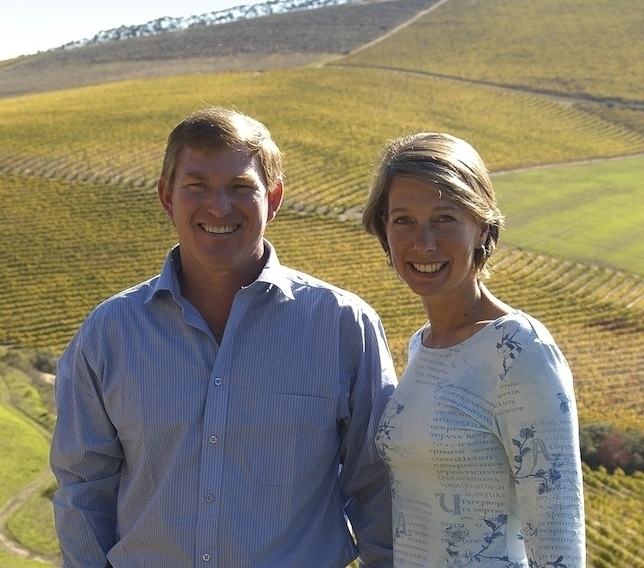 This husband and wife duo set up Vinokelly just three years ago. Gary worked in fine wine sales for a number of years and Elizabeth in financial recruitment, and they recognised a gap in the wine market for recruitment which they filled by combining their experiences. We discussed different approaches to applying for jobs. Elizabeth and Gary said that often women don’t feel qualified because they don’t fulfil all points in a job spec. It is important to remember, however, that many employers don't expect any one candidate to have all their requirements (and certainly not fulfilling each criteria doesn't prevent men from applying). Instead, employers are taking a more fluid approach to hiring and such specs are just a starting point. They are really looking to see what individual candidates can bring to a role holistically. Use statistic to illustrate what you have achieved. For example: sales figures, margin targets, operational KPIs, ROI, budgets managed. Use bullet points and don’t use any funny fonts or alignments. Trust your instincts: if you don’t like the recruiter or don’t think they are working in your best interest (and especially if they ask for money to place you), walk away. If you change your mind about an interview or an offer that’s fine, just let the recruiter know. Often candidates just stop responding which shows a lack of professionalism. Ask as many questions as possible. Voicing any concerns and queries is going to make the process much smoother for all parties. As frustrating as it may be, don’t expect too much feedback. In most instances, recruiters are just told by their clients that the candidate just isn't a good fit. Make sure you outline all of your current package including salary, pension, bonus, transport/technology and wine/drinks package. Forgetting these will make negotiations more difficult. Ask for what you want. Be honest. If you don’t get the salary, see if there’s a way to write an increase into your contract. Often there is more in ‘the pot’ than you may think, it’s always worth asking for but be prepared for the answer. On 22nd May, Women in Wine LDN hosted a panel discussion at the London Wine Fair’s Industry Briefing area. We were invited by Hannah Tovey, the first female director of the London Wine Fair, who joined us on stage to give an inspiration introduction about her own journey through the industry. Titled ‘Diversifying Thought Leadership’. The aim was to discuss whether the wine industry is reaching its female wine consumers effectively and creatively – a burgeoning topic in the UK, given that over 55% of consumers are female. We talked about a range of topics including consumer research into preferences by gender, wine marketing, and flexible working and gender diversity in the workplace. The success of Prosecco among female wine consumers was considered and debated as a barometer of larger themes around gender and wine marketing and producer development. Alex mentioned that so much of Prosecco’s success is about the framing; it has become the go-to for everything from just a ‘treat’ to a ‘special occasion’ wine. Yet, it was a need that was filled – and any other drink could be a strong competitor with the right frame. Anne commented that, although Prosecco is seen as a ‘wine for women’ it is a more nuanced view of the statistics is required in terms of understanding. We had some fantastic questions from the audience ranging from the relative importance of educating the consumer, ‘gendered’ tasting notes, and whether boosting female consumers’ confidence in wine should be focussed on food/wine matching. General consensus was that and inclusive, diverse industry was not just better for the structure of companies but would also improve the relevance to the consumer. On 14th May, Women in Wine LDN hosted ‘Tradition and Trends: The Fine Wine Market’ at Liberty Wines in Clapham. The panel was made up of Ella Lister, founder of Wine Lister; Sara Phillips, Marketing Manager of Liv-ex; and Sara Guiducci, Senior Fine Wine Sales Executive of Corney and Barrow. Although the discussion covered a plethora of topics, two key discussion points were the changing role of the fine wine critic and the broadening of the fine wine market. The market no longer looks solely to Robert Parker’s scores, as it did just a few years ago. Sara Guiducci, who is also working towards her Master of Wine, says that she has seen her private clients increase their reliance on not just her own opinion, but also the opinion of other consumers. Sara cites the development of wine apps as being an important change in the market as it ‘allows consumers to talk and connect with other consumers.’ Ella Lister commented that ‘the wine trade loves wine critics because wine critics help to sell wine’ and that it is now ‘widely accepted that not just one person will replace Robert Parker’. For Wine Lister, the scoring is complicated, as they have partnerships with some of the most well-known critics, all of whom score differently, and aggregate their scores along with other key sales metrics. ‘You have to look at the different levels of generosity and map them onto a single scale….93 points is worth a different amount for each critic’, explains Ella. Both agreed that consensus among top critics is becoming more important than a score from one individual. Bianca Bosker, author of ‘Cork Dork’, joined us from NYC to discuss her New York Times bestselling book that's taking the US wine industry by storm. ‘Cork Dork’ is the story of her journey into the highly charged world of “obsessive sommeliers, big bottle hunters, and rogue scientists who taught me to live for taste”, as the title of the book describes. Bianca’s foray into wine began only three years ago, when she heard about the World’s Best Sommelier Competition and was hooked. She left her job as a technology journalist for the Huffington Post to work her way up from cellar rat to Michelin-starred restaurant floors and sommelier competitions, with her path culminating with the Certified Sommelier exam. Bianca shared with us some of her favourite passages of the book, which included her first experience tagging along to an elite blind-tasting group and another of how somms navigate the restaurant floor during a stint shadowing at Marea. “Most days,” she writes of her first forays into this world, “I was drunk by noon, hung over by 2 p.m., and, around 4 in the afternoon, deeply regretting the burger I’d devoured for lunch.” The obsession of top flight somms was a huge part of what drew her in, saying “obsession was makes people capable of superhuman feats” but observes that it is a “passionate and sometimes cruel world and part of that obsession comes from a demand for excellence”. But Bianca says her main aim was to tell a story that didn’t “repeat the same inherited wisdom on wine”, and to write the wine book she (and us!) wish existed. “People want to learn about wine but we are still explaining it in the same traditional way...of telling people what to taste instead of how to taste”. As an outsider, she says, she didn’t have the same allegiances that are firmly routed in the wine world. The aim was to “examine the sacred cows” and to see the wine world as it is. This allowed her to look at “the soul, the science and the high the low” of wine. Bianca argued that the crux of the book is that “we need to get in touch with our neglected senses of taste and smell”. Regardless of whether you’re a top end somm or a wine drinker happily ignorant of a wine’s terroir, she believes that being in touch with our senses of smell and taste as a way to enjoy life is the key. The conversation also covered wine snobbery. Following the book, she wrote a New York Times OpEd article which argued there is a place for mass market wines that are constructed with consumer taste preferences in mind, rather than our traditional notions of wine stemming from a winemaker’s singular vision. This brought on a response that was “swift and fierce and merciless” from parts of the trade and critics, but it was important debate to have. She also commented on her frustration with sexism and harassment within the restaurant industry – without HR departments, she mentioned it’s “up to [the individual] to move on out of it”, and regrettably the ability to change unacceptable practices arising from power imbalances are left to those who wield the power in the first place. Her refreshingly candid insights, warmth, humour and fascinating answers to our Q&A made for a fantastic evening. Thank you to all those who attended, the publishers of ‘Cork Dork’, Allen & Unwin, and the Wine & Spirit Education Trust for hosting our event. In November WIW LDN hosted our Industry Mavericks and Creative Entrepreneurs panel discussion with speakers Charlotte Wilde (formerly of Sager + Wilde), Corinna Pyke (Borough Wines) and Maggie Campbell (Privateer Rum) at SW4 wine bar in Clapham. The evening offered an informal conversation about what led to success, the challenges they faced, their career progression and their businesses. 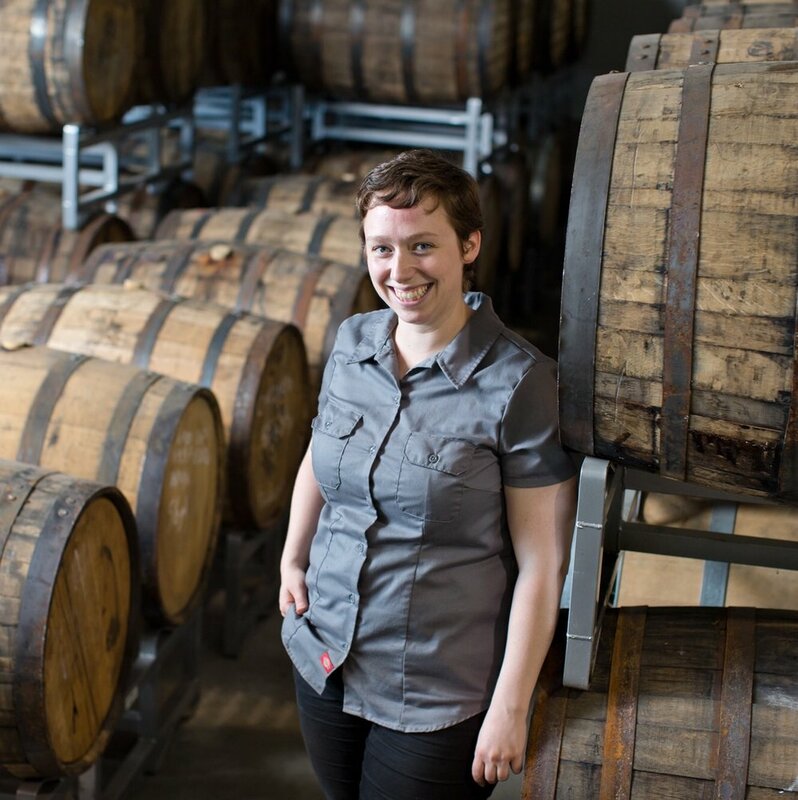 "'Entrepreneur' wasn't a word association I ever expected, but I was always trying to increase my value as I progressed [through my career and my studies]' says Maggie Campbell, Head Distiller and Vice President at Privateer Rum, Director of the American Craft Spirit Association and Master of Wine Student. This was certainly one of the themes that resonated throughout the evening: Find your niche and develop your offering. As Charlotte explained of Sager + Wilde, arguably one of London's first and most successful modern fine wine bars, 'No one was doing it. And we thought, there's demand here. We just need to do it right'. They also spoke in depth about the dedication of the teams around them, the importance of hiring - and keeping - individuals who believed in the value of the business. 'It's so important to us that our sales team is on board with the buying decisions we make' commented Corinna, who is a partner and Marketing Director at Borough Wines. Aligning their product with customer feedback and their sales teams knowledge has been imperative to growth. Charlotte echoed this sentiment saying that for her, it was the people who worked at Sager + Wilde and the customers that shaped the business to be what it is. She learned quickly that the decisions they made had to have a net positive impact: 'from the wine list to the type of loo roll we had, any decision to spend an extra pound had to benefit the customer'. Each highlighted key aspects for success in their business: the importance of strong distribution in the US (Maggie), the need for great communication to customers to make wine accessible (Corinna), and growing in a sustainable way (Charlotte). They also spoke about how influenced they were by colleagues, friends and peers and how this now shaped their careers and professional outlook. Maggie spoke about a decision made by Privateer's president to delay building a tasting room at the distillery until they had stronger distribution across restaurant/bar customers. As the tasting room would have been an easy and quick revenue channel to set up, '[Everyone said] he was wrong and it was crazy and in actual fact, it was one of the soundest decisions we made. You can't grow that much in sales volume with a tasting room, but you can with better distribution; that was the important thing to focus on first. It was a learning experience [for me]'. Thank you once more to our panellists and to SW4 for hosting us. Please watch this space - 2018 events are in the works. Speed Networking, Elevator Pitches and Is Wine Gendered? On 10th August, we held a multi-faceted summer social, combining a talk on ‘Is Wine Gendered?’ followed by our first speed networking session. Over 40 women working in the London wine industry joined us at the Liberty Wines office in Clapham for a very successful and inspiring session. Sula Richardson (WSET) and Clara Rubin (Veraison Wine Education) kicked off the evening with a reprisal of their P(our) Symposium lecture, which explored the ways in which wine marketing, communication and tasting are influenced by our conceptions of gender. They argued that a more nuanced approach is needed, taking into account the realities of both people consuming wine and working in the wine industry. View their P(our) talk here. The speed networking section of the evening was introduced to Women in Wine LDN leader, Hannah Van Susteren, as the ‘We hate networking’ portion. Recognising that ‘networking’ is usually cringe-worthy and often feels artificial, we sought to do something different. After selecting a playing card randomly from a deck, people found the three others with their same card number and practised their elevator pitch and engaged in conversation to get to know each other. As we received fantastic feedback, we anticipate that we’ll do another speed networking session later on, and some further events focussing specifically on professional development. 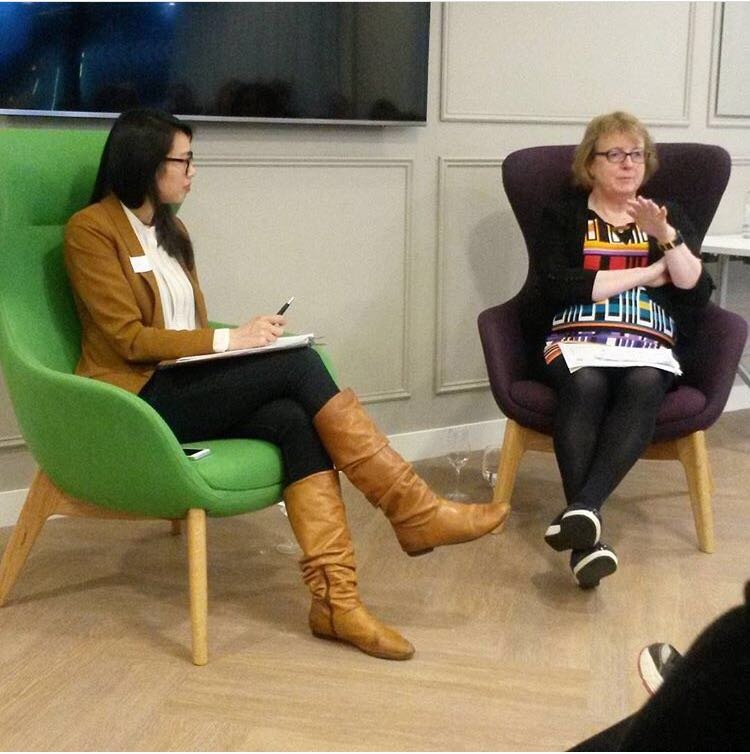 Yesterday evening, Women in Wine LDN hosted ‘A Spotlight on Wine Judging with Sarah Jane Evans MW’ at the brand new Institute of Masters of Wine office in Vauxhall. We were extremely lucky to have Sarah Jane as our speaker. Her list of achievements are notable for being both diverse and fascinating; former IMW Chairman, current Chairman of the 2018 IMW Symposium, member of the Gran Orden de Caballeros de Vino, Trustee of the André Simon Book Award, and a Series Editor of the Classic Wine Library. On top of that, she spent a decade as Associate Editor of the BBC's Good Food magazine and has a specialism in chocolate, having written the immensely compelling book “Chocolate Unwrapped”. We also spoke about the real value that medals may bring to wine styles and producers, and the effect they have in the market, such as when a Jean Stodden’s Spätburgunder, Alte Reben 2010 from the Ahr Valley won best Pinot Noir at the Decanter competition last year, bringing attention to the region here in the UK. Sarah Jane also advised that producers should ensure that they make the most out of marketing a medal win, and that a medal is only as good as what a producer does with it. She wrapped up the discussion with her thoughts about making your mark professionally. Throughout her talk, there was a lovely parallel in the way she spoke about how a wine achieves success in a competition and how a person achieves recognition both as a judge and in their wider career. As Sarah Jane concluded, “The important thing is to be known for something that makes you different.” Truly inspiring. On Monday 12th December, just under 40 members of Women in Wine London met at the Wine & Spirit Education Trust office for the last event of 2016. In what was a new format for us, we traded in our usual panel discussion for three short presentations from three very accomplished women on a recent development relating to their career; Vicky Burt MW, Clara Rubin and Anne McHale MW. Vicky Burt MW (Research & Development Manager, WSET) kicked off the evening as our first speaker with an overview of her findings from her MW research paper: 'What is the best glass for Champagne?' She went through her extensive methodology to assess both the physical and psychologicalreasons why certain glasses are better for Champagne. Running tests on fully sited and blindfolded WSET 2 and 3 students, she asked them to nose and rate Champagne in different Riedel shaped flutes. Her findings showed that in both groups there was a preference to a specific glass but that this was even more dramatic a preference in those who were sited for the tasting. She concludes that regardless of the quality in the bottle, the glassware has huge factor in the consumer's overall experience and suggests that producers may want to consider this. Clara Rubin DipWSET (Educator, Veraison) spoke about her journey in developing Berkmann Wine Cellar’s wine education offering, which eventually grew to become Veraison, a standalone entity. Aiming at giving confidence to the on-trade when serving wine, the Veraison courses are short, accessible and engaging. Clara identified her mission as being to vanquish the Type 2 wine ego which causes 'fear of embarrassment' when learning about wine, which stops us from asking questions or sharing info, and instead championing the Type 1 wine ego which says 'I do not mind admitting I’m still learning'. It was certainly no small feat to set this up this program on her own, and Clara commented how rewarding it has been to reap the successes. She and her fellow educator have taught 30 businesses and 1,700 people between them so far since the launch in July. 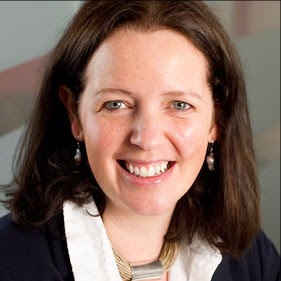 Anne McHale MW was the final speaker and gave an insightful talk on the 'Pros and Cons of Being Self-Employed'. Earlier this year, Anne decided to strike it out on her own, after having worked at Berry Bros & Rudd for 10 years in the Wine School team. Now, as an independent wine consultant, she focuses on helping businesses with their wine lists and education programmes. She talked about the daunting aspects of leaving an otherwise secure and comfortable work life but that, for her, the benefits do outweigh them, as she enjoys the autonomy and the flexibility. She says she sees this as an exciting time to be in the wine trade as consumers are opening up to new styles and we’re seeing a greater diversity of wine hit our shores than ever before. As always, the audience asked some fantastic questions and, most importantly, worked their way through the festive piles of mince pies, paté, cheese and charcuterie. The wine of the evening was the English sparkling we had to start: Balfour Leslie’s Reserve NV, a Pinot Noir, Chardonnay and Pinot Meunier blend, which showed delicious crisp yellow apple and brioche notes. What a year it has been. 2016 has proven to be a year that the world will never forget. Whether due to social, political or economic factors, we are yet to see the true effects on the wine industry. Price lists are already beginning to be adjusted and some producers are becoming nervous. In our small corner of the world, one thing we can definitely celebrate is our first Birthday! We are incredibly proud and humbled to have received such industry support and hope that we can continue to make a positive contribution to the trade. We are still finding out what works for the group and we’ll be sure to keep building on what we have learned over the last 12 months. Our aim has always been to help foster better relationships and enhance industry knowledge. We will continue to have this at the forefront of our minds, in everything we do, for 2017. At each event it is clear that we are slowly but surely filling a gap that has long needed to be filled. The chance to meet peers and learn about the industry we work in from other women in the group has been incredibly rewarding and inspiring for many, ourselves included. All those who have been to an event this year took a chance on something new. We especially want to thank those women who came to an event on their own, you are who we aspire to be! And to those of you who brought along a colleague or forwarded an invite to a friend in the industry, without you, the group wouldn’t have grown the way it has. A huge thank you to all for making this year a great success. Spotlight on: Wine buying across the industry - "Never a dull moment"
From left: Hannah van Susteren or Atlas Fine Wines/Women in Wine LDN, Regine Lee of Liberty Wines/Women in Wine LDN, Emma Dawson of Marks and Spencer, Beth Brickenden of London Union, Jennifer Doherty of Liberty Wines and Vicky Stevens-Clarkson of Atlas Fine Wines. When asked about what wine buying entailed, several common themes emerged from all the panellists. They work closely with their counterparts in forecasting and sales to source the right wine that will not only work from a price point of view, but will also give the consumers value, or as Vicki put it aptly, “relevancy to their lives”. Buyers are no longer bringing in wine and relying on consumers to just accept their selling points, instead they are focused on what consumers want from the product. Another similarity is their heavy involvement in forecasting and quality control. On top of this, they firefight supply chain problems and currency fluctuations; juggle the constant priorities of working with stores, consumers and dealing with producers, as well as the added pressure to be on top of market trends. She then spoke about how she sources wine from far flung places like Japan and Brazil, finding the 'sweet spot' when tapping into consumers’ interest in taking a punt on something new and carefully balancing the right price and intrigue to get the sale. Jennifer provided some key insights in to building Liberty Wines’ range, with their ultimate goal being to bring the best producers from a region on-board. She highlighted the ethos of the teams is to find wines that the sales team are also passionate about - inspiring them to connect new wines with their customers. The importance of quality control was discussed a great deal. It was clear from the discussion that buyers are not only accountable to the bottom line, but also to the consumers who need to be reassured that they will get a product that is not faulty and can be consistently relied upon. Beth provided insights into the important aspects of buying wine for a pioneering on-trade channel of street food markets. The varied customers who eat at Street Feast are now people who are extremely knowledgeable about food and want the wines on offer to compliment this style of food. Vicki gave a fantastic overview of buying wine for the fine wine market and its challenges: limited supply, the need to be reactive to consumer trends and demand, stiff competition from UK brokerages and international fine wine marketplaces. She also discussed the need to ensure that in the age of technology and emergence of online competitors such as Vivino, fine wine merchants need to make sure they add value to the consumers’ purchasing experience by providing spot on advisory assistance as well. The discussion then turned to topical themes and what is making wine buying challenging today. Not surprisingly, Brexit was discussed in detail. Other very juicy topics in our Q&A covered changing role of the La Place de Bordeaux on international markets, climate change’s impact on vintage variation and the long-term sustainability of winemaking and the competition wine has from craft beer. It was clear from all of the panellists that in the world of wine buying, relationships are key. The supplier must understand the business and really get your customer for the chain of supply and demand to be successful - whether you are a huge supermarket or a street food specialist. All in all, it was a very informative evening with a fantastic group discussion. Special thanks... to Liberty Wines for hosting Women in Wine LDN and to our wonderful panellists. Cheers! Up Next... We have an events lined up for December and January. Location and further details will follow shortly. What are we now... In just a year we are 160 women strong representing over 50 companies within the industry. Please do extend invitations to your colleagues, contacts and friends; it has been incredible to see this community take shape and we want it to continue to grow. Go on and… Chat to us on Twitter. The Women in Wine LDN team attended the Wine and Spirit Trade Association’s Parliamentary event which brought together MPs and wine and spirit industry professionals. The theme of the evening was particularly close to our heart, as the focus was "Women in the Wine and Spirits Industry". Among the large crowd there were a number of prominent women in the industry, from educators, consultants, importers, journalists and media personalities and English wine producers. We were incredibly excited to see so many familiar faces of those who are also Women in Wine London panellists and current members. Tim Loughton MP (East Worthing and Shoreham) gave the introductory speech, as he was the event’s co-host and Chair of the All-Party Parliamentary Wine & Spirit Group. He talked about the historic and current importance of our industry to the UK economy and of the key role women have played in it. Co-host Flick Drummond MP (Portsmouth South) is Co-Chair for the Women for Work APPG and spoke passionately about her work trying to bring the challenges that women face in the workplace to the forefront, including structural challenges in our current society such as affordable childcare and the difficulties returning to work after maternity leave. Perhaps the highlight of the evening was the speech of Sarah Morphew Stephen MW, the first female Master of Wine, who passed the exam in 1970. She recounted how she first became passionate about wine as a child growing up in Portugal, where she helped to pick grapes for harvest. Determined to join the wine industry, she persevered in landing a job at Ramos Pintos – despite the fact that several other Port houses had bluntly told her that women have no place in the cellar. Her natural talent and hard work resulted in her gaining a scholarship to study winemaking in France, where she did ‘genteel’ tasks like labelling bottles, but also allowed her to eventually work in Germany where she got hands-on winemaking experience mentored by a woman winemaker. There, Sarah spent two months in the thick of it; getting her hands dirty and scrubbing vats which, in hindsight, was an auspicious start to a winemaking career spanning Jerez to South America. Sarah Morphew Stephen MW, the first female Master of Wine, giving a speech at the WSTA Parliamentary event. The crowd hung on to every word. Sarah gained her MW title six years before the second female to do so (the equally indomitable Serena Sutcliffe), which illustrates the male-dominated bent of the wine industry forty years ago. She continued to burst through glass ceilings as she steered her career towards technical analysis with a Bermondsey Street-based bottling plant where she rose up to become a technical manager and then as the first female buyer at a Yorkshire-based brewery. She also eventually became Asda first beer/cider/spirits/wine controller working with very good quality, every day drinking wine – a pursuit which she says was, in many ways, even more difficult than making boutique fine wine. It was an inspiring and empowering speech, culminating in the advice she once received from Madame Lilly Bollinger many years ago. Mme Bollinger, who was then in her 90s and still cycling vigorously around her vineyards, stopped to chat to Sarah and told her the secret of her own success: "My dear, never try to emulate a man. Always remain feminine". As Sarah noted, many of the women in that very room at Parliament – without any prompting or ceremony – had done exactly that and have been very successful. We were incredibly pleased that Kathy Jordan was able to join us for an evening at High Timber restaurant to discuss her inspiring journey and dedication to her family’s business, Jordan Wine Estate in Stellenbosch, South Africa. Kathy spoke to a packed room, with over 40 women from the Women in Wine LDN group. What began as a small, grape farm in 1990 run by her father-in-law, and “me, my husband Gary and a tractor driver” Kathy says, has grown 10 times in production to become a nearly 1,000 ton cellar winery which still maintains its family feel. Kathy spoke fervently about the business side of the estate. She described the transition from growing grapes to be delivered wholesale to a co-operative to making estate wine, largely driven by their confidence in the quality of the fruit. As their business expanded, so did their roles and management of the farm. Gary, a trained geologist, focuses the vineyard, while Kathy is involved in winemaking and business side of the estate. A highlight was her discussion about their growth: “The reason that we grew is that we brought land from a neighbouring vineyard. That uniquely gave us every slope aspect on one property.” As a result, they were able to diversify the grape varieties planted, and expand their cellar and range. However with growth comes the need to regroup and make sure it’s sustainable. When asked about what has attributed to the success of the company she sites this type of strategic growth which she has applied to Jordan’s exports and channel strategy. Kathy emphasised the importance of having visibility on a restaurant list and staff recommendations in a very competitive market. They remain adamant that their wines are available on restaurants lists close to home –around 50% of their wine is still purchasable in South Africa and its neighbouring countries. This point in the evening provided a great opportunity for questions about building a brand and personal growth vs business growth. Kathy also spoke passionately about the evolution of the Jordan Women in Wine Initiative, a two-fold mentoring programmed dedicated to giving women from all over the globe with no prior experience in winemaking the opportunity to work a vintage, and supporting wine education and mentorship for disadvantaged women working in wine and hospitality in South Africa. The programme has been an incredible success, and has expanded to other members of the PIWOSA (Premium Independent Wineries of South Africa) group in 2013, a collective of like-minded, premium, independent wine producers from across the diverse wine regions of South Africa’s Western Cape. As of now, the Women in Wine in South Africa has had 15 women in the international scheme and over 30 women in the South Africa one. It was a great privilege to hear Kathy speak about her amazing experience in not only making Jordan Wine Estate at the forefront of producing and promoting quality wines in the region but also furthering women working in the wine industry globally as well. Members of the WIWL group enjoying a glass of Jordan Wine Estate Chenin Blanc on the River Thames outside High Timber restaurant. Winemaker Kathy Jordan and WIWL's Regine Lee taking questions from the group in the cellars at High Timber restaurant. Thanks so much to those of you were able to join us for Women in Wine LDN panel discussion: ‘Message in a Bottle.’ We were really pleased to have so many of you there and thought that the panelists offered great insight into communications from industry to consumer. For those of you who missed it, we went to Liberty Wines on Tuesday evening, where our panel of speakers Nicky Forrest (Managing Director of Phipps PR), Abigail Barlow (Director, BD Creative) and Michelle Cherutti-Kowal MW (Educator and international Wine Judge) discussed effective communication in the wine trade; they highlighted obstacles faced when developing a style of language, design and platforms for engagement that are relevant to the consumer and key to success. We include their bios at the bottom of the page. The evening highlighted the cross pollination of education, visual design and public relations; it was clear that each sector faces similar challenges in navigating between under or over communicating wine to the consumer. Among discussion points were the power of the on-trade in communicating and hand-selling wines, and the importance of telling a story. Forrest spoke in depth about the changing landscape of public relations in the wine industry, the growing necessity of community management (focusing on social media channels) and the influence of large, multiple retailers. The sentiment was echoed by Cherutti-Kowal who believes that the power of creating opportunities for consumers to taste different styles of wine especially through by-the-glass listings in the on-trade, is huge. She commented that it’s key for waitstaff to be engaged and trained, as they're the gatekeepers to effective sales. Barlow led the discussion on story-telling, commenting on the influence of label design and the importance of winemakers themselves understanding the end consumer in order to sell the wine at the end of the day. She also provided key insights in to how design affects shopper buying habits and the generational and cultural differences she takes in to account when designing labels for clients. Special thanks… to Liberty Wines for hosting Women in Wine LDN, to Charles Heidsick for donating their NV to our Champagne hour and to our panelists. Cheers! Up Next... We have a social organised for Monday 15th August so make sure to get it in your diary. Location details will follow shortly. Please also watch this space for autumn events that are currently in the pipeline. What are we now... In just a few short months we 135 women strong representing over 50 companies within the industry. Please do extend invitations to your colleagues, contacts and friends; it has been incredible to see this community take shape and we want it to continue to grow. Go on and… Follow us on Twitter. Michelle is a Master of Wine and highly-respected wine lecturer, having taught at the WSET since 2004. She is a chair judge for the International Wine and Spirits Competition (IWSC) and a frequent wine expert at major wine shows including Vinitaly, The London Wine Fair, The France Show and Taste of London. Nicky is one of the leading wine communicators in the UK and lectures at the WSET on PR and social media. Her agency Phipps Relations is Drinks International agency of the Year 2015 and 2016 and has been Drinks Business PR agency of the Year twice in the last four years. She has just planted her own micro vineyard in Kent. The first official Women in Wine London event kicked off at The Winemakers Club in Holborn last week, and combined a social event with panel discussion on ‘Innovation in the Wine Industry’. The evening started with 30 attendees catching up, meeting new people and trying several types of wine from the intriguing list on offer. Sula Richardson and Regine Lee, co-founders of the group, hosted the event and were pleased to have three accomplished women who are innovative in their own right as panellists: Lulie Halstead (CEO of Wine Intelligence), Sunaina Sethi (Operations Director and Wine Buyer for JKS Restaurant Group), and Ruth Spivey (founder of Wine Car Boot Sale and Street Vin). They brought a wide range of experiences and provided several different perspectives to the debate. See their biographies for more information below. The animated discussion centred on whether the wine industry is innovative and what it can do to stay relevant. Drawing on her experience of international consumer research, Halstead kicked off the discussion by focusing on the need to better understand the typical wine drinker who constitutes the majority of wine sales. Wine producers, sellers and marketers who only push what’s in the bottle while failing to connect with consumers are not developing the category in the right direction. The panellists then discussed the extent to which the wine trade can educate consumers, or whether changing consumer behaviour is in fact possible, given their price sensitivity and conservatism when it comes to purchasing choice. Whether the wine industry is too fragmented and lacks strong, innovative companies to lead the charge in innovation was also discussed. The group then compared the wine industry to the spirits industry, where clear branding signals can signpost consumers to trade upward and/or across from Smirnoff vodka to Sipsmith gin for example. The very things wine industry professionals love about wine – its seemingly infinite complexity and diversity – is what makes it difficult to sell as a category. The wine industry also lacks a mobilised, omniscient half-selling half-educating force like Starbucks is to the coffee industry. Through sheer force of commercial power and spot-on branding, they got wide swathes of the public talking about single origin beans and ordering cappuccinos when they previously reached for Nescafe freeze dried coffee from a tin. Starbucks has been effective in getting people further interested in coffee, pushing them further to try new styles (cold brewed, flat whites, etc.) and paving the way for independent hipster cafes who arguably have taken coffee up the quality ladder rung in London. Who does that for the wine industry? Communication is key, and understanding how to successful do so in the right context is a part of innovation. As Spivey noted, she started Wine Car Boot sale as an idea that she thought was fun herself and believed other people would too. She observed that the recent trends in making food fun and accessible (e.g., the popularity of Jamie Oliver, the street food scene and it now being cool to be a foodie) has translated into people becoming more receptive to learning about wine without feeling like they have to be a geek to like it. As Spivey said eloquently, “Quality is at the heart of it - giving people a better experience with better wine”. Halstead then made a fascinating observation gleaned from her experience in international markets. Filling a niche in the wine industry for consumer insight data and trade consulting services, Wine Intelligence has discovered over the years that although what is on the market and available to consumers may differ across countries, all consumers have the same motivations: they mostly want something they can rely on, that tastes like they expect it to, and won’t be embarrassed to serve to their friends. This is powerful information, which the big branded wine producers take seriously. They innovate within the context of consumer taste, looking to make low alcohol wines, flavoured ‘fusion’ wines etc. but also looking at how to make it more fun and appealing to customers. Perhaps widening our own (wine trade) perspective on what makes wine fun is the key. Assuming a holier than thou attitude towards consumers and the big branded wines they gravitate to will have a negative impact on the category as a whole. While we only had about an hour to hash out the complex, multifaceted theme of innovation, the panel and the audience touched on several important considerations we must tackle if we want wine to stay relevant to consumers, especially in the face of decreasing consumption. If there was topic that incurred no debate whatsoever, it was that all our amazing panellists have been and will continue to be innovative in their own careers, and forge new paths for the wine industry. Lulie Halstead - Co-founder and CEO of Wine Intelligence and regarded as a leading thinker in the world of wine business strategy. Prior to co-founding Wine Intelligence, she developed expertise in the wine industry, with hands-on roles in importing, marketing & retailing. Ruth Spivey - Owner of Wine Car Boot, the hugely successful car boot sale that showcases wonderful wine shops all over London. Having been a wine consultant for many years, Ruth is currently working for the very chic Craft London restaurant. Ruth holds the WSET Diploma and has been featured on BBC Food. We also wanted to express our thanks to The Winemakers Club for hosting the event and staying open late to do so. We appreciate your support and very much enjoyed the lovely wine!